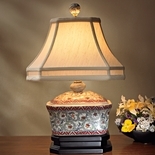 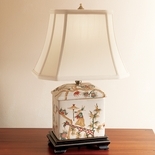 Timeless white-glazed porcelain lamp with antiqued gold trim sports a Chinese lattice pattern that recalls the railings on Monticello’s Terrace Walk. 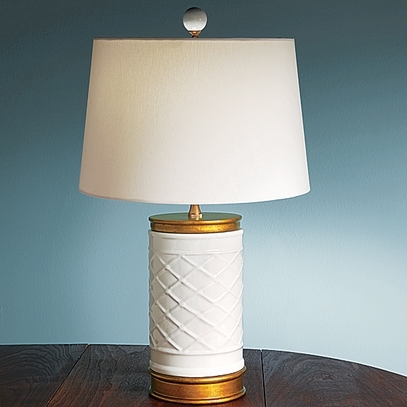 21"h, 12" dia. 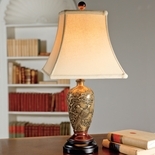 hardback fabric shade, 100-watt capacity.